Graf Von Faber-Castell Ink Cartridges - Gulf Blue - 6/Box. The colors inspired by nature which require unique formula and high quality ingredients for manufacturing. 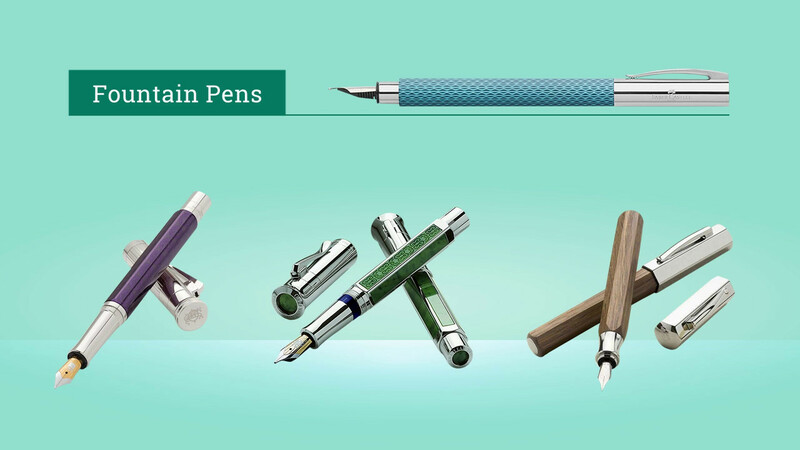 Graf Von Faber-Castell brings us indelible ink that means it is smudge-resistant, reproducible, light-fast and waterproof cannot be erased and is resistant to many chemicals and solvents. A box with 6 cartridges for your fountain pens for smooth and effortless writing.